Since growing our family I’ve also grown my eye bags and a few wrinkles. Actually, I thought I had some major baggage and darkness pre-children, but my eye bags have taken on a whole new zip code. Sometimes, the puffy little buggers seem to have a zip code other than my house! Not cool. 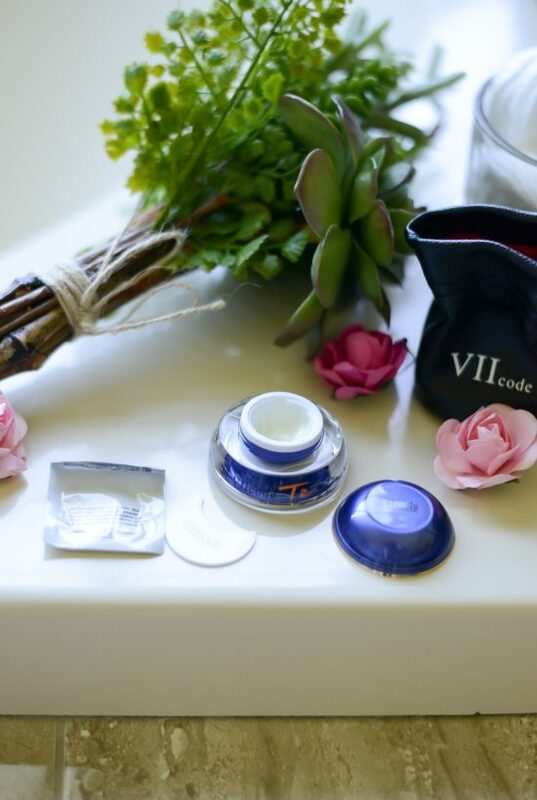 Thankfully, there’s a new eye cream I’ve been using that has helped migrate my bags back to their appropriate zip code: VIIcode T2 Oxygen Eye Cream. Let me tell you a little bit about it! 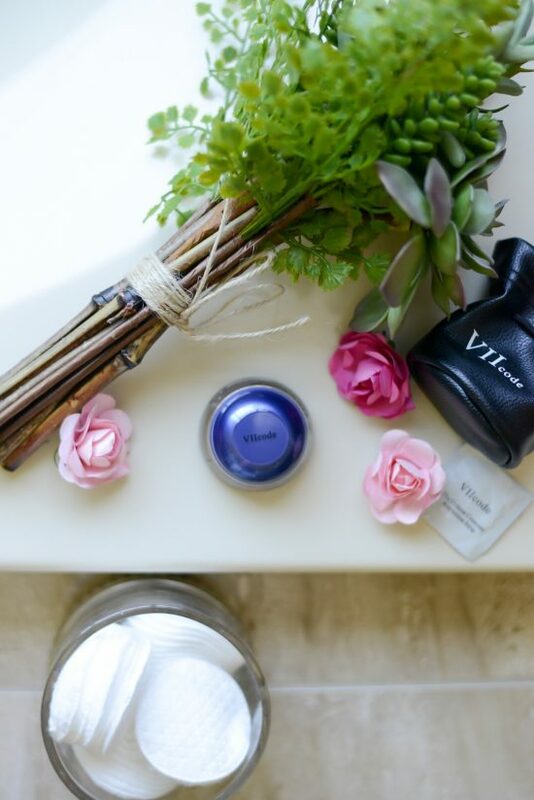 VIIcode made this oxygen eye cream to target the skin’s natural repair system with its exclusive “T2” stone mortar extraction process. 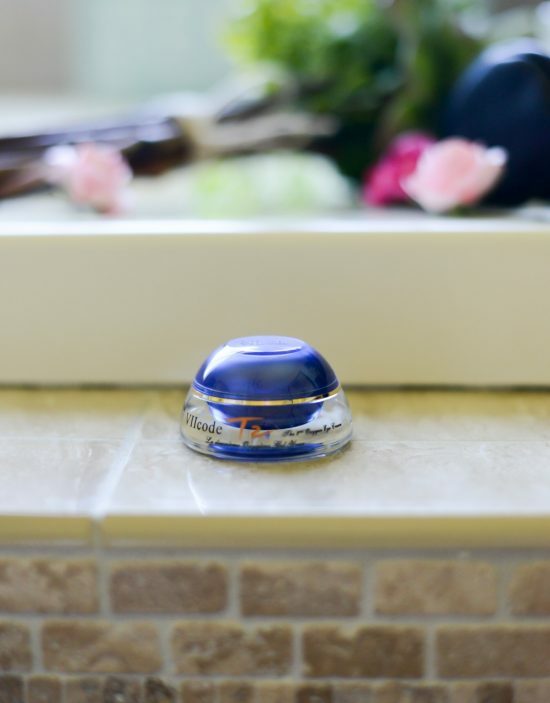 This product instantly activates the skin’s natural repair process! What does this mean? 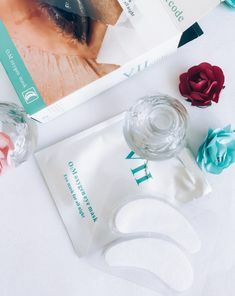 Your own skin is better able to restore damaged cells around your eyes, which means you may be able to diminish dark circles and bags and brighten the eye area! And all of this enables you to combat the aging process. Chamomile- has anti-inflammatory, anti-fungal, antibacterial, and antiseptic properties, and contains essential oils and antioxidants. It’s also hypoallergenic (yay!) and helps neutralize free radicals. Avocado- helps protect skin from environmental factors that cause fine lines, wrinkles, and other visible signs of aging. Vitamins & Antioxidants: help create collagen for firmer skin. 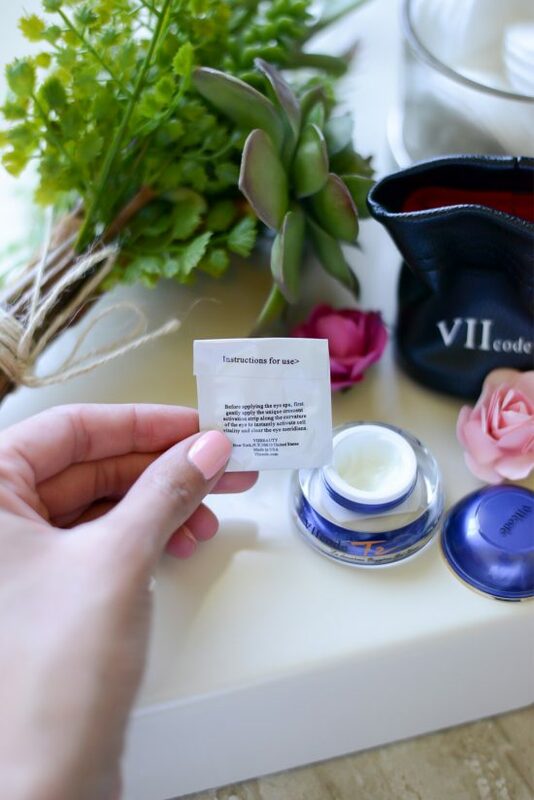 This eye cream comes with a crescent-shaped activator you gently apply to your under eyes prior to applying the cream. Doing so activates cell vitality and clears the eye meridians, prepping the eye area for the oxygen eye cream. I also like to think it helps with the depuffing, too! Like a wake-up call for the eyes! Then, simply gently apply the eye cream around your eye area morning and night. I have been using this eye cream for one month, morning and night, and I’m in love with it. It makes the skin around my eyes so soft and fresh looking, and I’m truly obsessed with it. 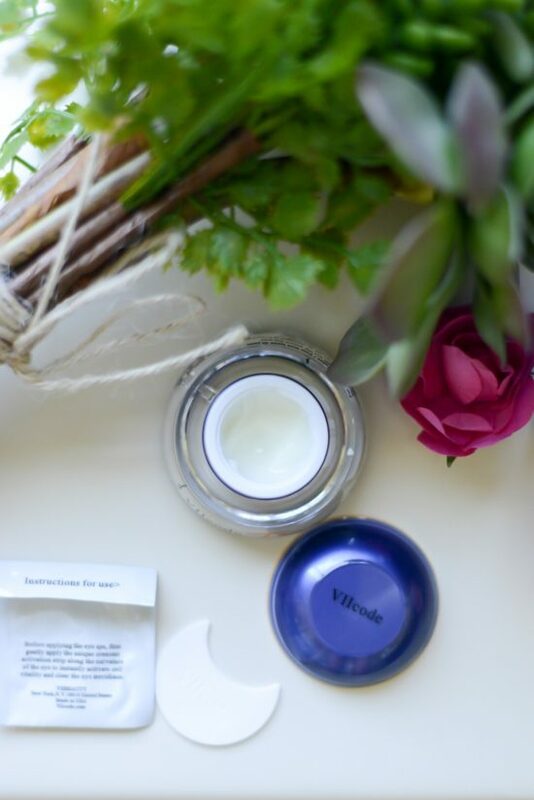 I have tried so many other eye creams and never finished them, but I will definitely use up every last drop of this VIIcode T2 Oxygen Eye Cream. My eye bags are back in the same zip code as my house, and my dark circles take less time to cover up. This all means I can put in less effort getting myself and two kids out the door in the morning, and that’s great news to me!! I love that this eye cream enhances my skin’s natural ability to repair itself. This product is definitely a must-try! *Thank you VIIcode for sponsoring this post. 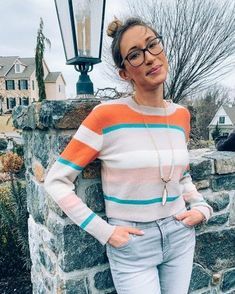 Thrifty Thursday (Vol. 3)- A Day Early! I haven’t heard of this brand but it’s intriguing. I love the packaging! I’ve just about finished every last drop in the jar. It is amazing stuff! Great that you found something to work for you! It’s so hard to find a really good eye cream! Oh this looks worth a try! I’m not sure I’ve used chamomile in beauty products before. I hadn’t either! I’m really sold, because I love this eye cream! Oh this looks wonderful! The chamomile and avocado combo is intriguing and I always need help with the bags under my eyes. I really love this cream. I just finished the jar, so I am going to have to buy one! I love that it also makes my wrinkles less noticeable. It really seems to plump!